Founded in 1986, Arora has developed and maintained a comprehensive engineering practice based on the principles of delivering quality services. Arora, a certified MBE/DBE multidisciplinary engineering Design, Construction Management and Facilities Management firm offers a broad spectrum of services for aviation, education, and transportation infrastructure for the built environment. Specific services include oversight, project management, and design of new and existing GIS, mechanical, electrical, plumbing, electrical aeronautical, fire protection, IT building and airfield systems. Arora also provides construction management and facilities maintenance management. Arora�s multidisciplinary approach offers clients comprehensive, cost-effective solutions to their most challenging situations. From the initial design process, bid services, and cost estimation to construction and ongoing facility maintenance and management, Arora�s team of professionals is equipped to address any problem, and most importantly, to find the right solution. With offices in Atlanta, Baltimore, Boston, Chadds Ford, Charlotte, Ft. Lauderdale, Newark, and Philadelphia, PA and a professional staff of over 90 employees, the firm specializes in providing Solutions for Secure Environments. Mr. Arora�s 25-year career began during his time at Drexel University working as an intern with the City of Philadelphia�s Division of Aviation. After earning a B.S. in Electrical Engineering, he joined Arora Engineers, Inc., founded by his father, Manohar (Mike) Arora, PE in 1986. His experience includes the design and construction management of airside and landside projects for major hub airports, airlines, and support facilities as well as education, mass transit, and municipal infrastructure projects. Mr. Arora was appointed President and CEO of Arora in April 2004 and since then has led top line growth by over 1000% over the last decade. Arora has obtained the INC 5000 fastest growing firms award six out of the last seven years. He is registered as a Professional Engineer in 20 states. He lives in West Chester, PA with his wife Popsy, and 15 year old son Gauruv. CEOCFO: Mr. Arora, your website indicates Arora Engineers provides solutions for secure environment? How so? Mr. Arora: We are a multi disciplined engineering firm in the fields of design, construction management and actually facilities management. We service the aviation, education and transportation sectors for the built environment. The built environment is in aviation, which means small, medium hub and commercial airports. In education it is K-12 and Higher Ed. In transportation it is a mix of everything, but transit for highways, roadways, trains, planes and automobiles, mainly in bigger metro cities. What we design are the systems in these facilities. For example, the mechanical, electrical, plumbing, fire protection, but more importantly the security, surveillance and information displays, much of the public address, mass notification, life safety systems that are tied to many of these transportation, aviation and education projects. CEOCFO: That is a pretty wide range of what you cover as far as projects within the different segments. Were these areas chosen by design? Was it more opportunistic? Mr. Arora: Sixty percent of the firm�s revenue comes from aviation. That is just a product of the fact that early in my career I worked for Philadelphia International Airport, running their capital program. Therefore, I surrounded myself with people who are aviation and transportation junkies. That is sort of the space that we have stayed in for the last twenty seven years. CEOCFO: What are some of the challenges in these projects that people might not realize? What are some of the issues that no one thinks of except perhaps people like you who look at it from the inside out? Mr. Arora: There are your traditional issues tied to funding. Funding for many of these large scale facilities usually has some sort of federal component to it. Therefore, as the government makes up their minds, projects, with the cost of those delayed funds and the public market infrastructure is needed. The architectural engineering community that services it needs to be ready for that change as well. Unfortunately, the industry or the way A&E is perceived is somewhat being looked at as a commodity when it is a professional service. Therefore, those are challenges that we are trying to get through; that a service is still a service; you really cannot low price the expertise. You can do that in a structural world. However, delivering these projects with delayed funds still becomes a challenge, even though the economy is robust in all of the sectors that I mentioned. CEOCFO: Are there projects you prefer to undertake as a company that you enjoy more or is it business is business? Mr. Arora: We are currently working at San Francisco International and Boston on projects that are tied to technology and how to use technology to do two things. The first is to increase the level of service for the passenger, so it is a better passenger experience, and at the same time to increase the revenue per plane passenger for the airport by changing their behavior with that technology. For example, if we had better way finding, or if we are inside of your cell phone to give you a more intuitive location based experience, we think you will be able to make some business decisions during your stay at the airport that may make you spend or may make you enjoy the experience more as a user of that airport. Those are the projects we really like. Another type of project is building new terminals and designing new terminals, but they are few and far in between right now, because there are not many Greenfield sites that are going brand new. They are all retrofits. CEOCFO: Do you find that many organizations you work with really want the experience to be better for the user or is it somewhat just lip service? Mr. Arora: I would like to say that everyone has that intention in mind. I think the quality firms rise above and provide that service and actually want the change in experience, not just to get in and get out on a project and try to move on to the next one. However, our philosophy is that is actually how we get business. It is repeat clients and what did you do for that repeat business. You probably put yourself in the hands of the owner and detailed that you actually made significant change for them that they could not do on their own. CEOCFO: How do you keep up with all of the new technology, particularly since you are working in such a large range of services? Mr. Arora: You have to be smart. You are going to spend money. You will not be able to hide from the technology now. You should be process driven and what part of those processes that you used to deliver in the legacy mode can now be streamlined. It also helps your business efficiency. However, one example on our design side is that we use something called Revit�, which is 3D. We design in 3D with the architects. Therefore, we are basically building a Lego model and building the building. Then that 3D model is given for procurement now to a mature contractor. Therefore, we cannot hide from that technology if we want to be in front and we want to be on the leading edge. You do not want to be on the leading edge to just spend, spend and spend for no reason. However, it is a matter of being smart, having your own IT grid that vets out the impacts of new technology and then seeing what your appetite is from your clients, to not just do technology for the sake of it. You have to make a difference. CEOCFO: Would you give us an example of a project where you had to make changes? What is the key to successfully going with the plan, but being adaptable as needed? Mr. Arora: To deliver a design and construction project; each project we ever win has to have a work plan to set up right at the beginning by the PM. That lays out the guidelines of not just the scope, schedule and budget, but the workflow it is going to take to deliver where we do not fail. We are there to succeed. There are times where personnel changes happen. We have scope creep on a project that the owner is adding in that was not part of the original scope. I guess the big thing for us is to quickly identify that our service level to the client does not change. No matter if there could be a little chaos behinds the scenes, the front service level is always the same. I think that if we can manage that experience we will always at least in the top tier of success for the project. Therefore, the end user will be part of the solution, but they never feel a huge impact with us there behind the scenes. CEOCFO: What are the intangibles that you look for in your people to insure that mindset, that corporate culture, that level of doing right by the customer? Mr. Arora: We groom them from the beginning so that they are hyper responsive. If you have trust you can always make mistakes, because there is trust in you fixing it. If you are hyper responsive, even though we had to make a change, have an error or something is at conflict, you can pick up the phone and call the client and make him aware and have the type of responsiveness and an open dialog. We do not feel as if there is any pressure anymore, because our clients become almost like our friends and we are the trusted advisors. Again, it is about trust and being hyper responsive. We feel we can teach the technical side, but you cannot teach how to get someone to think that you are loyal or gain your trust. CEOCFO: Arora has been recognized as one of the top twenty five engineering firms in your area. You have been recognized as the Smart CEOs Future 50. How meaningful are the awards? Did you enter the business with the idea to be the best or did this just happen? Mr. Arora: Starting from the top, I am very driven. My success is probably defined around the people I surround myself with. Therefore, it then becomes less about me and getting an award and more about us and look what we have done. The awards are great, but as far as some of the missions that the people around us, the average age of our firm is thirty-five. I am forty-five. It is just a bunch of smart, young, aggressive folks that I want to make sure that I provide wealth creation for. We do a great job for our clients and we have a passion for what our welfare is, but for everyone to have a goal to have a great lifestyle down the road while having fun at work. It is about wealth creations. There is nothing better to see than an intern that was here ten years ago is now the third person in the company as a senior executive. It is satisfaction on my side. The awards are cherries on the cake. CEOCFO: You have several offices already; do you plan on opening additional offices? Mr. Arora: The core of our offices really grew out of Philadelphia, which is our corporate. It is in a town called Chaddsford which is south of Philadelphia. The New York Metropolitan Area is extremely important to us and Baltimore that is very important to us. That is where production happens. However, we are winning more aggressively in Boston. We have opened a small office at this point there. In Charlotte, North Carolina we have a GIS, Geographical Information Systems group, which is growing in that region. We recently won a five year contract with Broward County where we have opened an office as well. Now, it is not mandatory to open an office to deliver a project that is in that region from the region, but we think it is important to support the local tax base and make sure that we have that client interaction locally. Even though the project may be being performed in Philadelphia, Fort Lauderdale gives that same level of service that is provided everywhere else. We have won a project in Reno and we are working in San Francisco and Denver. We are now starting to look at opening geographies on the East Coast, the Mid West and West Coast to see what presence we can have organically or through acquisitions. CEOCFO: How do you decide what projects to go after? 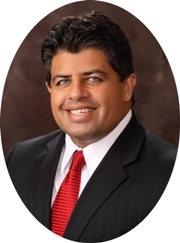 Mr. Arora: We have a �go, no go� process, which stems from our marketing department. We have a seller / doer model within the firm. We also have some dedicated feet on the street that are just looking for certain types of work. That gets vetted from the go, no go process. Marketing gives an independent evaluation; do we know the client, is the fee going to be right, can we deliver this project, what other issues are tied to it. Once we get it past the go, no go; that is how we vet it out. That go, no go process goes to what we have in the sales and marketing team that says this is the project that we want to chase. Usually, the best place to be is where we are talking to the agency or owner years in advance, to get ready or I will even help them write the request for proposal, is where we get a chance to compete. CEOCFO: How will Arora be different a year or two down the line? You mentioned possibly new offices. Are there areas you would like to have more penetration in as far as types of projects or the industries that you are in now? Mr. Arora: From a structural standpoint we have grown our revenue by fifty percent from last year, so we are in a rocket ship. I would like to slow down a tad. However, one way that will be different is that we will have the capacity to take on larger projects that we were usually a sub consultant to. That will be interesting. We may add architecture as part of the service offering, verses just engineering. We wanted to study that and see how our partners would like that. Then finally, I do not think there will be a major change, but we will continue to be a family run business. We will be giving some ownership out to some of our staff, which will be a change from before. However, we still want to create the culture of a family, no matter how big we get. CEOCFO: How do you keep that as you grow? What do you have to be on the lookout for to keep that family atmosphere as you grow and as you expand to different locations? Mr. Arora: Heavy communication. We will use technology. We are creating corporate dashboards that are put on everyone�s laptop or PC. They are getting up to date news. It is almost like a CNN website that is just for the company. We are using an enterprise software to grow our financials, so we could be scalable. Therefore, if we opened in China tomorrow we now have the enterprise software that we are setting everyone up with a license on their PC and providing the process. Then it is keeping it a little loose. Some people will say you have got to tighten up when you grow. We do not want to make it so process oriented as we grow that we do not allow creativity or flexibility as well. Therefore, we give them the lines to drive in and if we can maintain that, coupled with the communication, we will be able to form that culture. CEOCFO: What should people take away when they read about Arora Engineers? Mr. Arora: The dedication to the communities we serve. There is dedication to keeping people safe and helping the transportation experience seem effortless. Arora, in general is just a pleasant partner to be involved with.